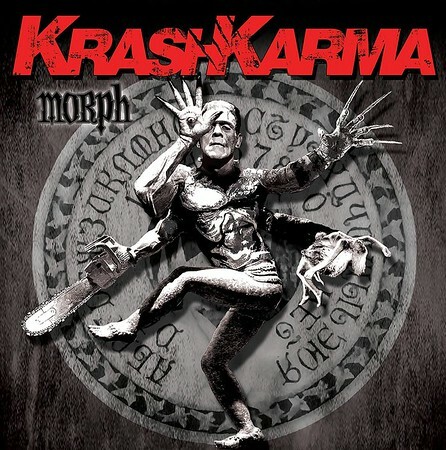 “Morph” is the third album from KrashKarma and it was released on 7th September by Splitnail Records. KrashKarma is a duo based in Los Angeles and it features Ralf Dietal on vocals and guitar and Niki Skistimas on drums and vocals. The band fuses a number of genres into a great sound and initially started as a four-piece but quickly shifted to the current format. The track “Stranded” was included on the Friday NI Rocks Show on 21st September. Ralf Dietal is a German guitarist who played very briefly with Nine Inch Nails and was a member of German punk bands Izor and more recently Wizo. After moving to the USA he started the band Suicide Holiday which morphed into KrashKarma. Niki Skistimas had been in a few bands before teaming up with Dietal. KrashKarma’s debut album “Straight to the Blood” was released in 2010 and was followed by “Paint The Devil” in 2015. The band have toured widely across the USA and Europe and their live shows are apparently well worth experiencing.